Choose coconuts that feel heavy for their size, having no cracks and avoid those whose circular indented eyes are damp, moist or moldy. Shake the coconut. It should slosh with liquid and sound full. Once opened, the meat is separated from the hard shell and the dark skin is pared off if desired. Fresh unopened coconuts can be stored at room temperature for up to four months, depending on its original freshness when purchased. Grated fresh coconut should be put in a tightly sealed container or plastic bag and stored in the refrigerator for up to four days or frozen for up to six months. Unopened canned coconut can be stored at room temperature for up to eighteen months. Packaged coconut in plastic bags can be stored up to six months at room temperature. 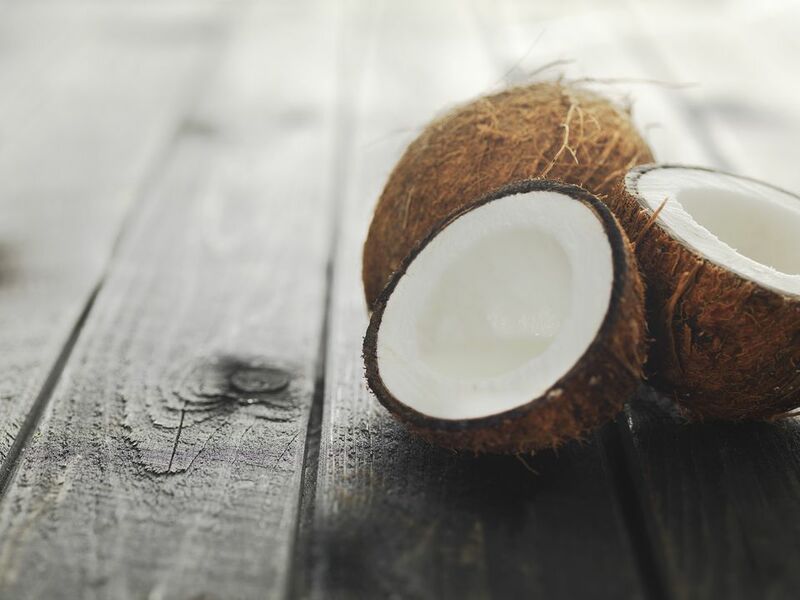 Once opened, canned and packaged coconut should be refrigerated and used quickly, within 5 to 7 days for canned and within 3 to 4 weeks for dried. The high oil content makes coconut quickly turn rancid if not stored under the proper conditions. One medium-sized fresh coconut will yield 3 to 4 cups grated or flaked coconut and 1 cup of liquid. Do not pack tightly when measuring grated or flaked coconut. If shredded coconut becomes dry, soak it in milk for 30 minutes, then drain off the milk and pat dry with paper towels. You can use the drained milk in recipes or blended drinks within 5 days.